To track spacecraft continuously, a network of deep space stations must have at least three equidistant receiving points on the Earth’s surface. NASA’s first location in California had already been set up in 1958. Therefore the other two stations would have to be one-third of the globe (120° longitude) either side of this location. 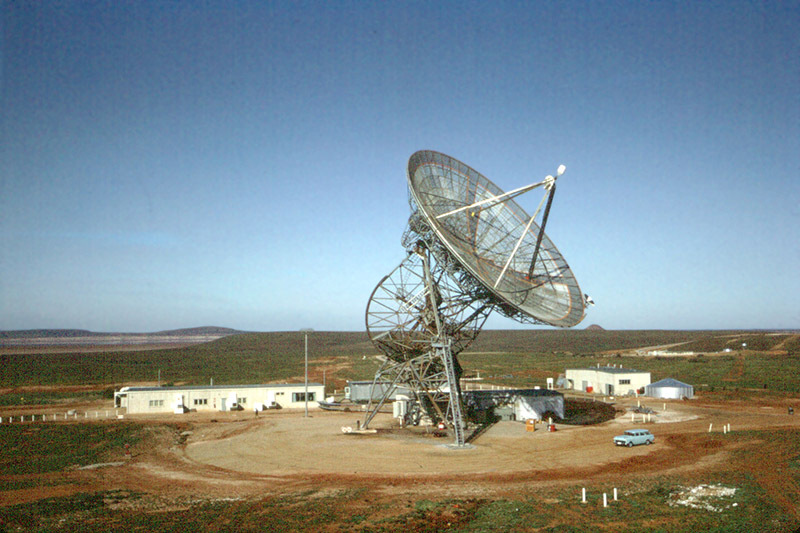 Woomera (South Australia) was the first deep space station to be established outside the United States. The Australian government was already working at this site with the government of the United Kingdom on rocket and satellite research. It began as a trailer installation in 1957. The Island Lagoon site at Woomera (Deep Space Station 41) was established in August 1960. By the 1960s the station was installed in permanent buildings and was a major unit in the network. 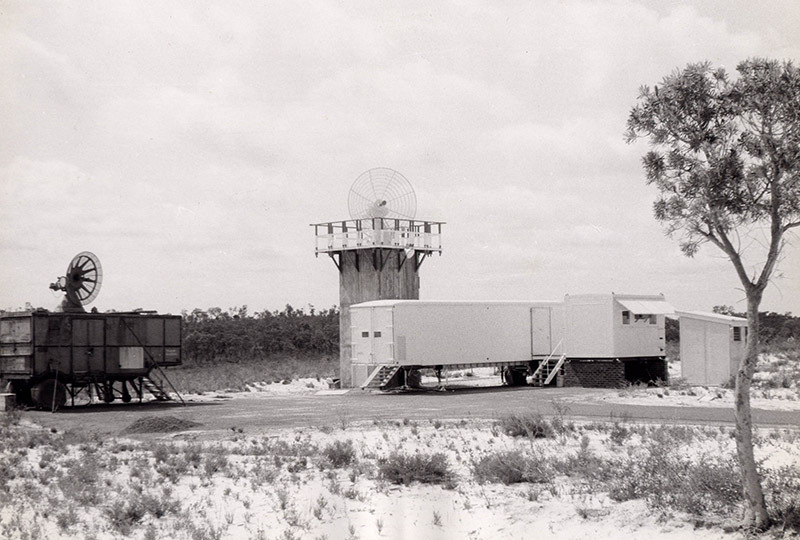 The station was operated by the Australian Department of Supply and provided support for missions until the 22nd of December 1972. During the 1960s, six other stations were set up in Australia. Muchea, near Perth (Western Australia), was opened in 1960 for Project Mercury, phase one of the American goal of landing a person on the Moon. A small plaque installed in the place occupied by the communications technicians console reads: ‘this plaque is to mark the spot where an Australian first spoke to a space traveller.’ The Australian was Gerry O’Connor, communications technician at Muchea, and the space traveller was astronaut John Glenn aboard Friendship 7. The station was closed in 1964. Carnarvon (Western Australia) was built in 1963 for the Gemini Program. Replacing Muchea, the much larger complex used some of the equipment utilised for Project Mercury. The station was closed in 1974. Cooby Creek (Queensland) 22.5 km north of Toowoomba, was built in 1966 to support the Application Technology Satellite Program. The station was closed in 1970. Honeysuckle Creek (Australian Capital Territory) was built for the Apollo crewed missions to the Moon. It played an integral role in the Apollo 11 mission, providing the first historic pictures of man walking on the Moon, Monday, 21st July 1969. Apart from the telecast for television, Honeysuckle Creek had voice and telemetry contact with the lunar module. In 1974 at the conclusion of the Skylab and Manned Space Flight activities, Honeysuckle Creek joined the DSN as Deep Space Station 44. 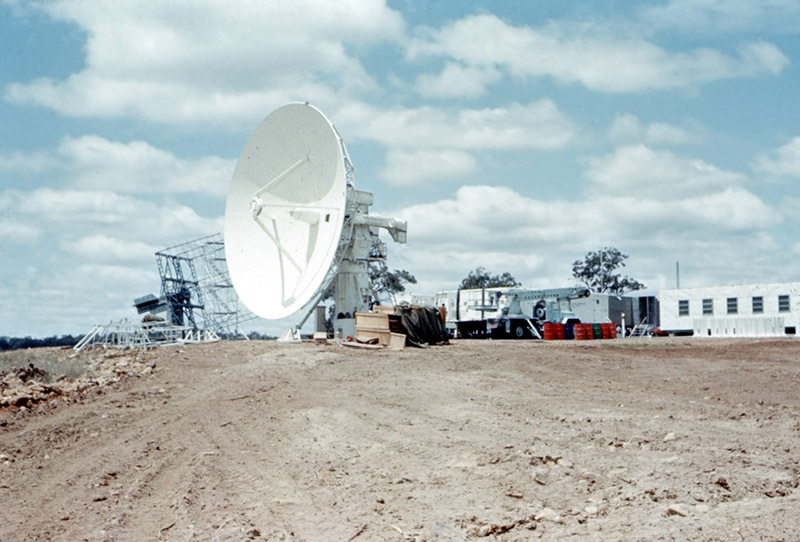 When the site closed in December 1981, the 26-metre antenna was relocated to Tidbinbilla and renamed Deep Space Station 46 where it was used for spacecraft positioned close to the Earth. 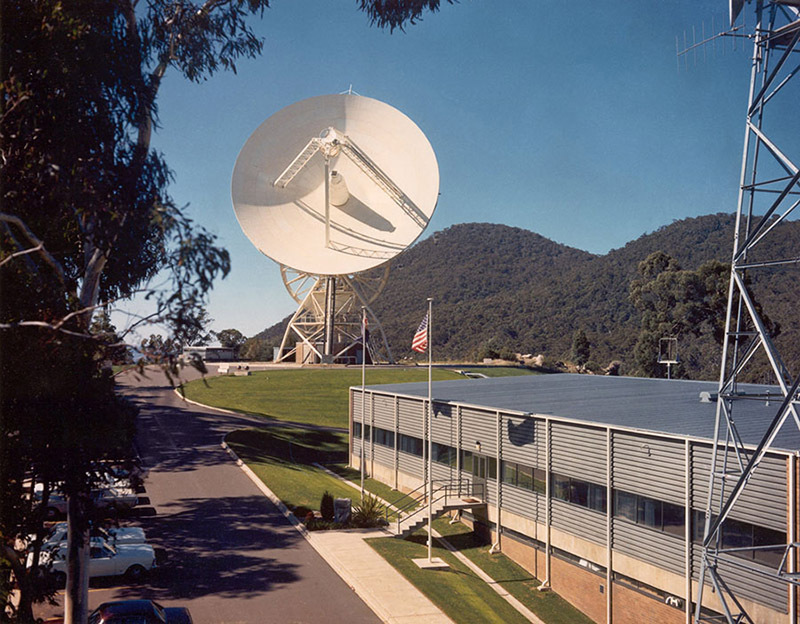 Orroral Valley (Australian Capital Territory) was used to support Earth orbiting satellites as part of NASA’s Spacecraft Tracking and Data Acquisition Network (STADAN). The construction of the complex was completed in May 1965. The station supported the cooperative USA-USSR Apollo/Soyuz project in 1975 when American astronauts and Soviet cosmonauts linked vehicles in Earth’s orbit and carried out joint experiments in space. In December 1985, the station was closed as part of a consolidation of NASA facilities in Australia. Today much of the work of Orroral Valley and Honeysuckle Creek is handled by the Tracking and Data Relay Satellite system (TDRS). 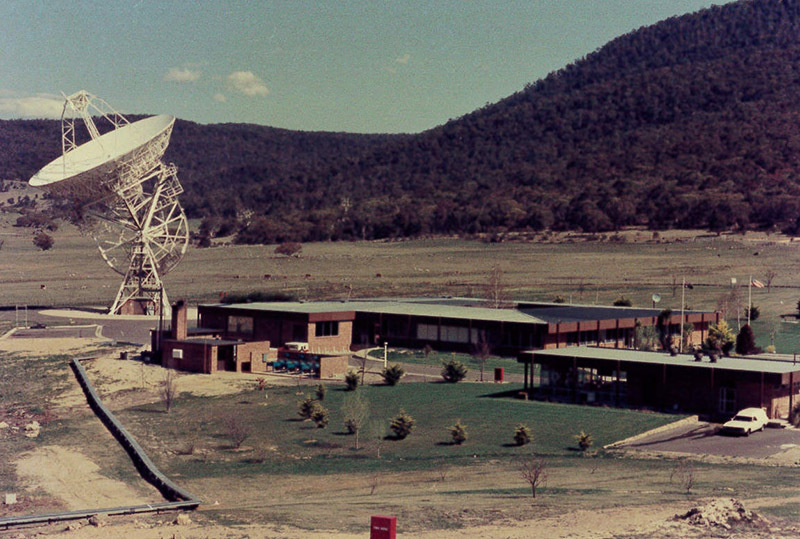 Tidbinbilla (Australian Capital Territory) tracking station was developed for communicating with deep space probes and to add support to the early crewed missions. Prime Minister, Sir Robert Menzies, officially opened the station on the 19th of March 1965. 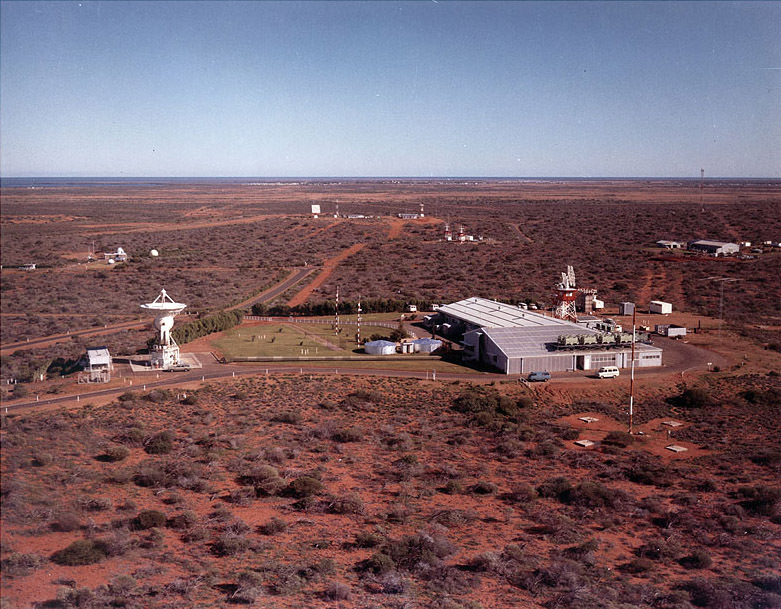 This complex is the only NASA tracking station still operational in Australia today. 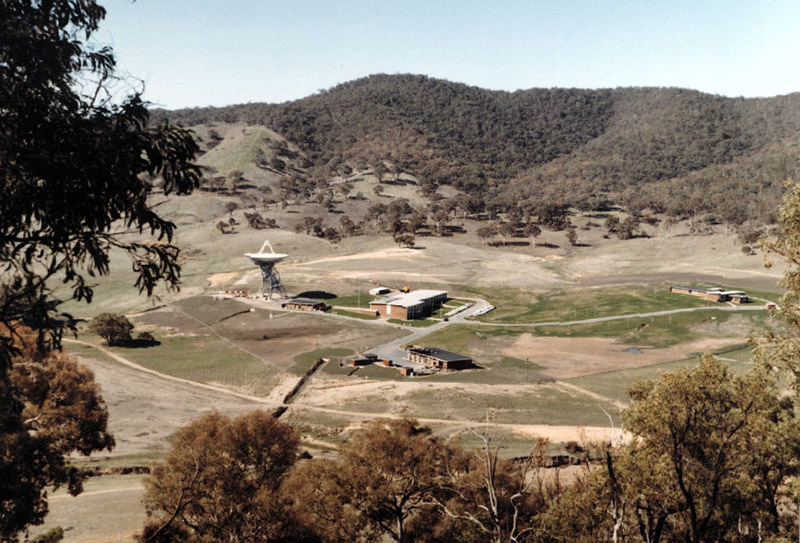 A more detailed history of the Canberra Deep Space Communication Complex can be found here. The website Honeysuckle Creek Tracking Station has a fantastic history of both that tracking station and others in Australia, as well as photographs and interviews with former staff.